Brookgreen Gardens, Murrells Inlet, South Carolina, totals 9,100 acres and was founded in 1931 by Archer and Anna Hyatt Huntington. 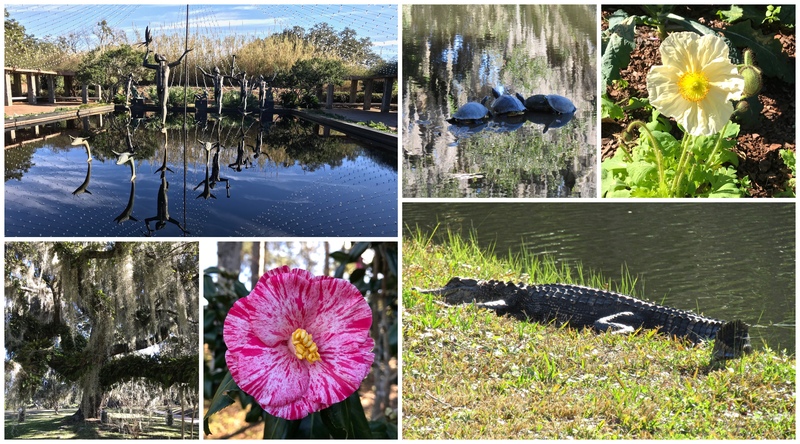 It is built on four former rice plantations and includes Botanical Gardens, American Sculpture pieces, the Low Country, and the Low Country Zoo. I was fortunate enough to get a ‘yes’ response when I asked for a behind the scene tour of the Brookgreen greenhouses. Three friends and I spent a couple of hours with Vicki Richardson, Supervisor of Horticulture Program and Outreach. Brookgreen has seen many changes through the years including moving from a very modest, home sized greenhouse to their expansive greenhouse setup of today. 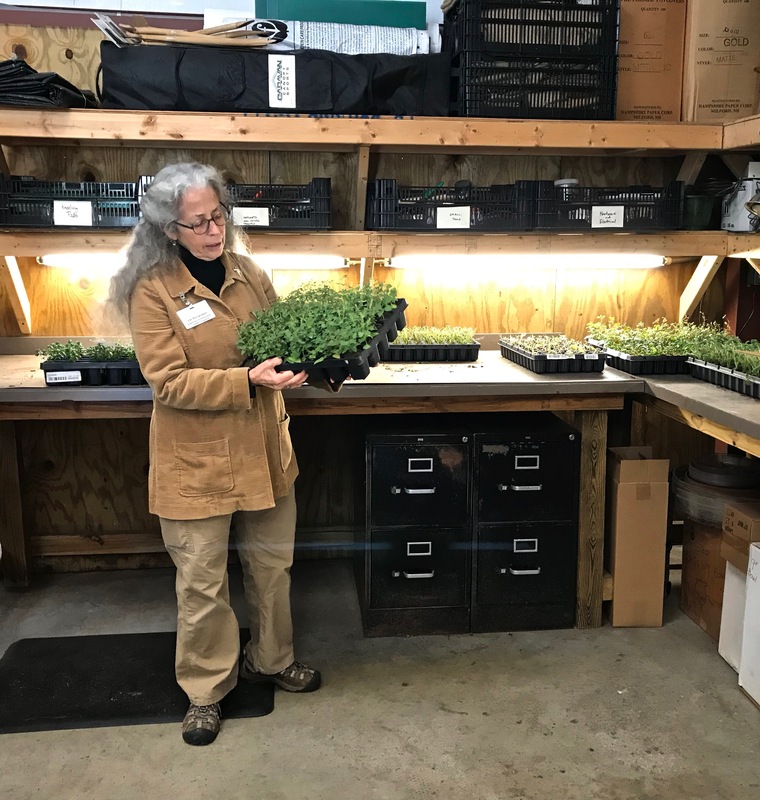 Vicki showed us trays of the various plugs they have purchased for spring plantings. The greenhouses were quiet the day we were there because the volunteers were not working and they haven’t started on their spring plantings yet. Once we left the greenhouses, we walked for a while so we could enjoy the beautiful sculptures, animals, and flowers. Making plans to visit South Carolina? Brookgreen is open daily 9:30-5. This entry was posted in Gardening and tagged Botanical gardens, Brookgreen Gardens, Gardening, Master Gardeners, Murrells Inlet, New England, New Hampshire, South Carolina, Strafford County, Strafford County Master Gardeners, UNH Cooperative Extension. Bookmark the permalink. I could feel the world’s comings and goings fade from me as I watched your sideshow. It was a massage for my thoughts. Being in the presence of plants is always such excellent therapy, and your slides made me feel I was there in that presence. How wonderful that you were given this tour — thank you for taking us along! Wonderful! And if you come to my garden, you will see…hostas!